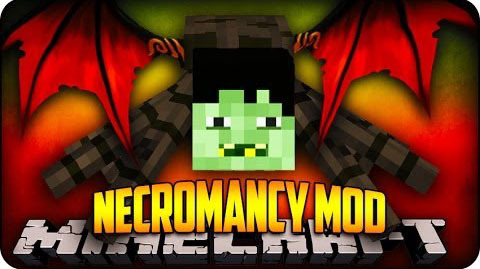 Necromancy Mod allows you to play god. You take bodyparts from slain foes, stitch them together as you see fit, and reanimate the horrifying resulting. First, you will need some bone needles to extract blood with. Craft them from bonemeal. Craft some minecraft glass bottles to hold the blood in, and go stick some needles in living things. That will yield you Bottles of Blood. Next, craft the children’s favourite, the unholy Necronomicon. It takes leather, blood, a book, ink, a feather, and Nether Warts. Place 2 cobblestone and one Block of planks in a row, those will be your surgical slate/altar. Use the Necronomicon you just crafted on the Planks. The 3 Blocks will transform into an Altar. Now it is time to collect ourselves some raw materials to work with. But of course, the right tool for the job is needed first. Craft a Scythe using Obsidian, an iron hoe, a stick and some blood. Go and relieve some pitiful creatures of their lives using this. Make sure you have glass bottles in your inventory, to collect their sweet souls in. You might also have noticed Mobs dropping bodyparts on death. Collect these, they will be needed in a moment. First, craft yourself a sewing machine from iron, string and a bone needle. Place it somewhere and the grand work can begin. Necromantic Skin is the basis for most recipes, so start off with that. Just throw some leather into the sewing machine and work on it with bone needles and string. Now, it is finally time to start assembling the minion of your fevered dreams. Note the empty slots inside those templates. That’s where the creature-specific parts go into. Typically those match the creature’s drops. If for example you want Zombie legs, put in 2 rotten flesh in the slots below the muscle. If you want a sheep head, put some wool next to the brain in the recipe. Assemble your new Minion on the Altar you built earlier. Put the jars of blood and souls in the slots meant for them. If everything is in place, close the Altar GUI, crouch down in obeisance to the dark gods, and use the Altar Block. If you did everything correctly, your Minion will rise. If you messed up, you might get a nice Lightning Bolt in the face for your troubles. The combat stats of your Minion depend on the quality of the parts used. Mobs are stronger than animals. Ender parts are stronger than Zombies. Minions behave like pet wolves. They will follow you around (you can tell them to wait), attack with you, and defend you when needed. You can also saddle them like a horse and use a Brain on a Stick to ride them around? use a fishing rod and a Brain. The mod also adds Nightcrawlers and Isaac to randomly spawning Mobs. Isaac is a tough opponent with multiple stages. However he drops the extremely powerful Isaac’s Head helmet on final death. While wearing Isaac’s Head, you can use the buttons defined in your controls (default ?f’, ?g’) to fire tears and blood tears. Tears drain hunger. Blood tears drain health. You can also mount Isaac’s Head on a Minion. The Minion obtains tears as ranged weapon. One last thing. If you’re the exploring kind, you might prefer to go to the nether to get your blood. 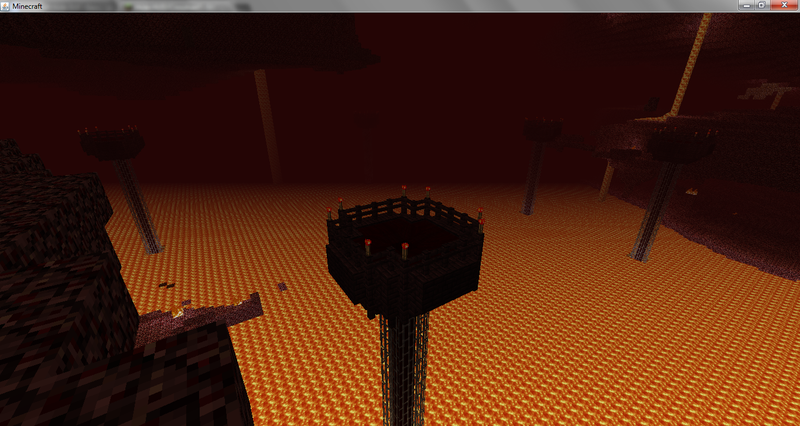 Nether Chalice’s spawn randomly in the lava lakes.